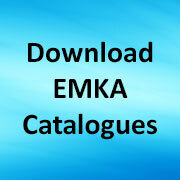 EMKA Toggle Latches are ideal for quick action closure for boxes, cases, cabinets, luggage, and equipment and are available in steel and stainless steel to suit the environment anticipated in transit or onboard a specialist vehicle. Program 6000 toggle latches come in wire loop and rigid loop formats also spring loaded types and special variants, as well as adjustable. A selection of catch plates match the latches for inline or right angle fitment. 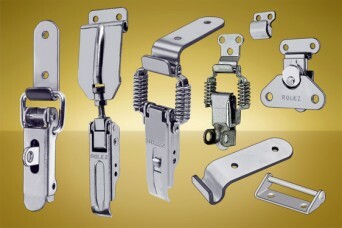 Share the post "Toggle Latches – quick and positive closure in steel and stainless steel"